Madelaine Petsch Has 'Zero Spoilers' About 'Riverdale' Season 3 | Photo 1168296 - Photo Gallery | Just Jared Jr.
Dinah Jane's EP 'Dinah Jane 1' is Out Now - Listen Here! Bella Thorne Shares a Kiss with Italian Singer Benjamin Mascolo! 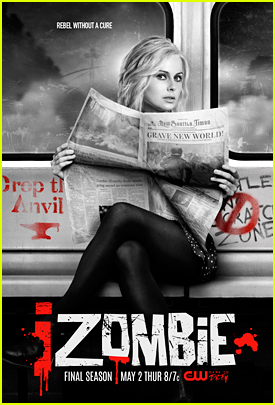 It's a 'Grave New World' For 'iZombie' Season 5 - See The New Poster! 'Toy Story 4' Trailer Shows Gang Facing New Challenges - Watch Now!